David Catania and Carol Schwartz confirmed. 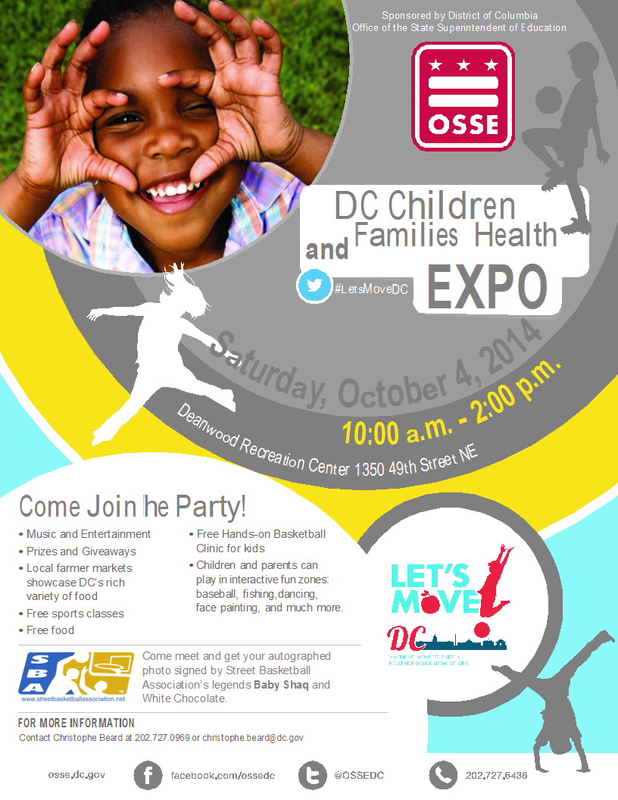 Muriel Bowser invited. 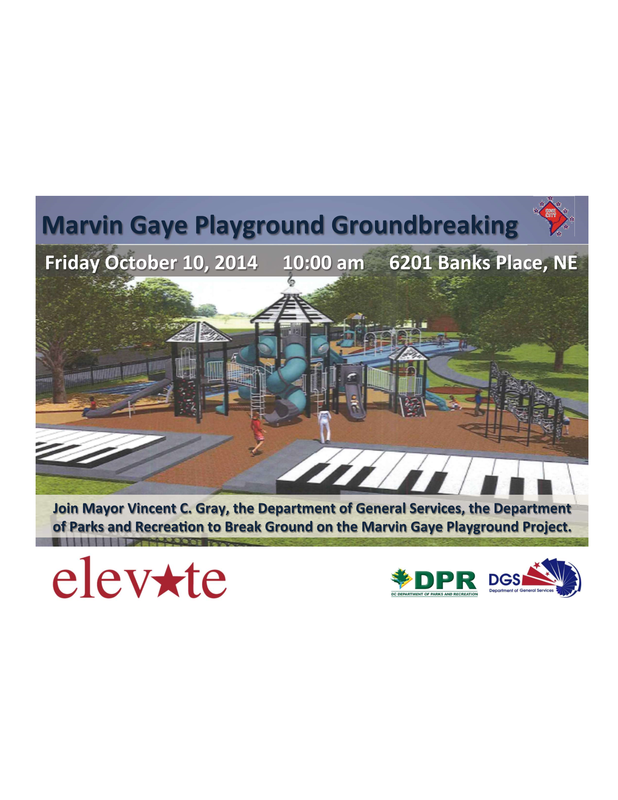 Join Mayor Vincent C. Gray, the Department of General Services (DGS) and the Department of Parks and Recreation (DPR) to celebrate the groundbreaking for the new playground at Marvin Gaye Recreation Center. The groundbreaking is scheduled for October 10, 2014 @ 10:00 am at the Recreation Center. 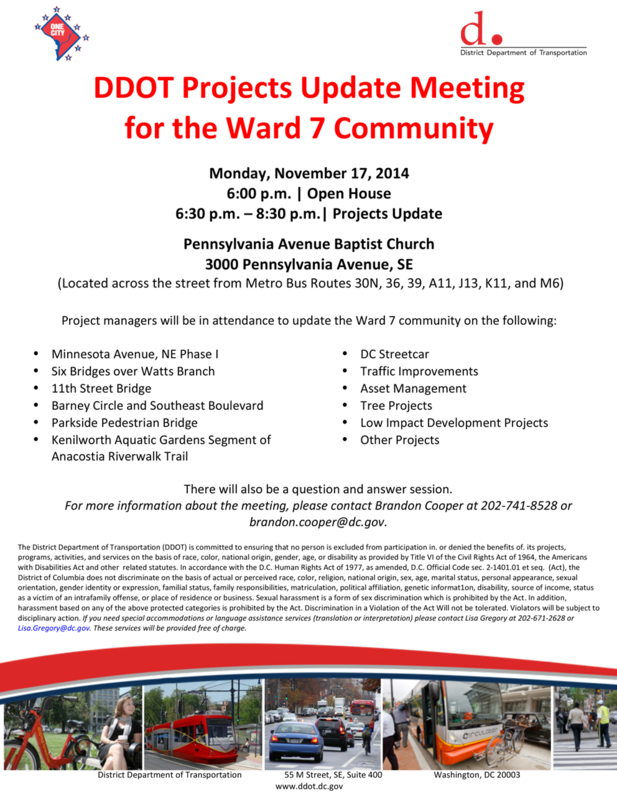 Your input during the design process was very valuable and helped the project team and architects design a playground that the community will enjoy for years to come. THANK YOU!!! 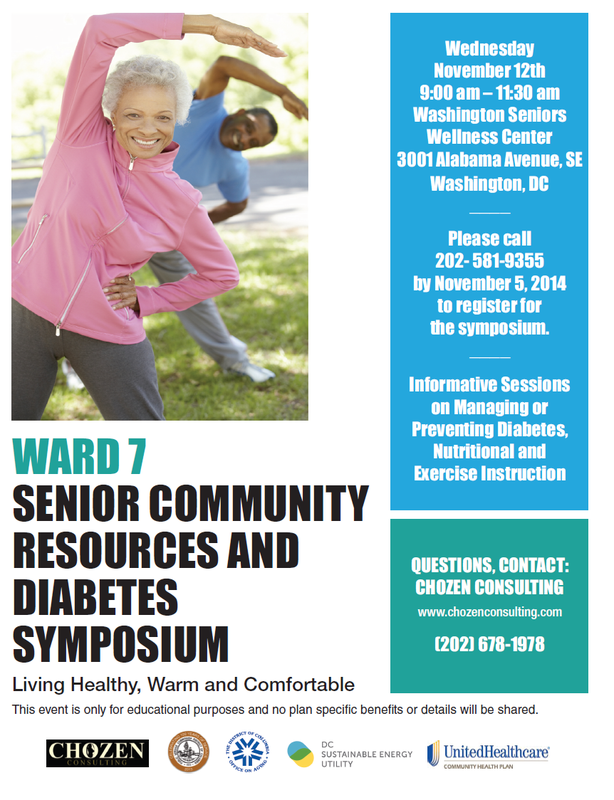 Please share the attached flyer with your neighbors, family and friends.